These tools will help you to select the right hose for your application, to ensure your challenge is addressed successfully. Although many metal hoses look the same, there are many critical questions to ask and characteristics to consider in order to optimize the hose for the application. Temperature – As the temperature to which the assembly is exposed (internally and externally) increases, the strength of the assembly’s components decreases. If you do not provide this information it will be assumed that the temperatures are 70 deg F.
Application – This refers to the configuration in which the assembly is installed. This includes the dimensions into which the assembly must fit as well as the details of any movement that the assembly will experience. This is required since you cannot determine the proper length or proper hose type without it. Media – Identify all chemicals to which the assembly will be exposed, both internally and externally. This is important since you must be sure that the assembly’s components are chemically compatible with the media. If no media is given, it will be assumed that both the media and environment are compatible with all of the available materials for each component. Pressure – Identify the internal pressure to which the assembly will be exposed. Stripwound metal hose, by the nature of its construction, is not pressure tight. However, pressure and media infiltration through the stripwound wall can be minimized by the insertion of one of a variety of packings into the wall during hose manufacturing. If no pressure is given it will be assumed that there is no pressure. End Fittings – Identify the necessary fittings. This is required since fittings for the assembly must be chosen to properly fit the mating connections. Dynamics – Identify the velocity at which the media will flow through the assembly. Extremely high flow or abrasive media can cause premature failure. If no velocity is given, it will be assumed that the velocity is not fast enough to affect the assembly’s performance. 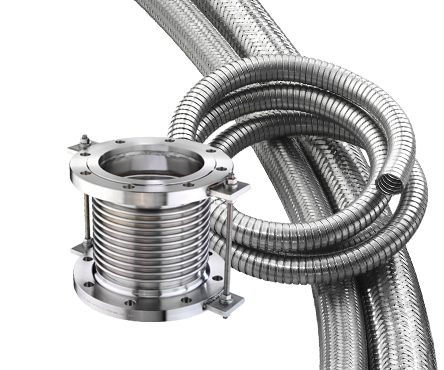 Selecting the proper configuration – whether it’s hose & assembly components or expansion joints – is crucial. Type, size, alloy, length, and other factors must be carefully reviewed. Every application is different, so you must ensure each assembly is designed specifically for your purpose and operating conditions. 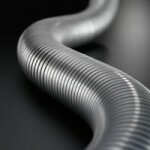 Corrugated Metal Hose can handle high pressures and is gas tight. It is excellent for gas and liquid transfers. Stripwound Metal Hose, although not gas tight, is rugged, making it excellent for use as a guard, an open-ended exhaust hose, and for the transfer of dry bulk materials. Need assistance? 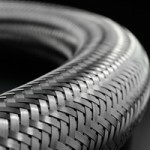 We’re here to help you select the best hose for your application. Contact our Customer Service team here or at 800-221-2319.